As the famous location suggests, this was not going to be your average afternoon tea – it was something truly spectacular. 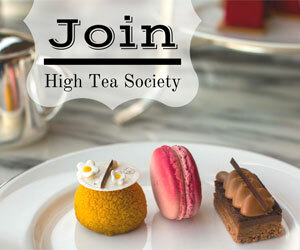 High Tea Society had what was to be the most fabulous privilege of taking afternoon tea at the Royal Opera House in London. As the famous location suggests, this was not going to be your average afternoon tea – it was something truly spectacular. 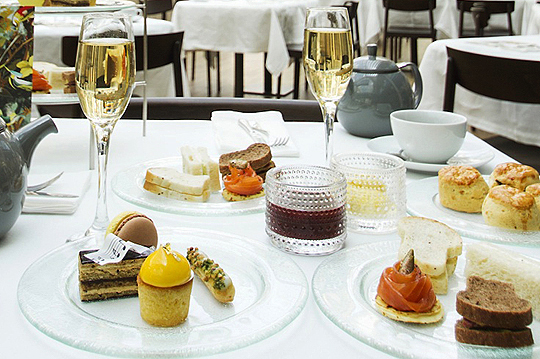 Launching on 17 September 2014, this is an afternoon tea not to be missed on a visit to London. 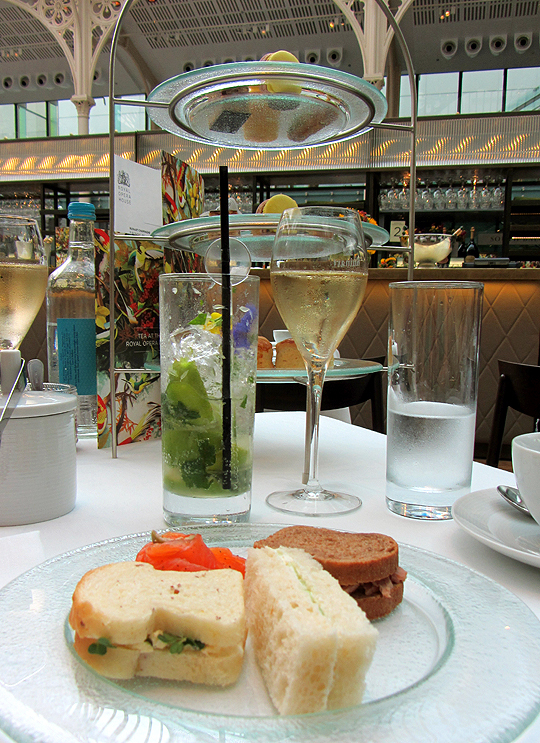 In fact, your reviewer rates this up with her top three afternoon teas of all time. 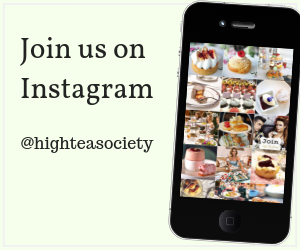 Everything about it was beautiful – from the décor down to the sheer perfection of the scones, carefully chosen tea, lovely service and pastries made by chefs who must be some of the best in the world. Starting with an entrance into the Paul Hamlyn Hall, surely one of London’s grandest locations with its glass vaults allowing maximum daylight into the building, we were seated by friendly waiters and given a beautifully designed menu. After sipping on the beautifully light Ruinart Champagne, we decided to splash out and also order one of their tea cocktails (going for the soft option however) – choosing a peach and chamomile along with passion fruit and mint, before choosing from an impressive variety of London-based My Cup of Tea teas and tisanes. The Opera Afternoon tea, a combination of black teas from China and Sri Lanka was complex and fitting for the venue, while the Flower White Tea went perfectly with the pastries that we were about to consume. A cake stand was brought out by professional waiters who knew every detail of the sandwiches and pastries served. 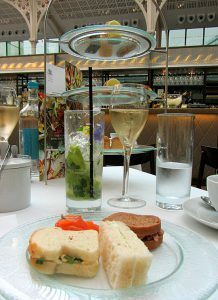 The sandwiches, made on the freshest bread your reviewer has ever enjoyed at afternoon tea included Severn & Wye smoked salmon blini, salt beef cornichon & sweet mustard, free-range egg and cress along with cumber and cream cheese. The scones – made to absolute perfection were dainty and served with Dorset clotted cream and strawberry jam. Thankfully there was still plenty of room for the French pastries. These were truly something else, the highlight being the Opera Gateau that head chef Claire Clark MBE surely spent a long time perfecting with each individual flavor in this complex cake shining through. 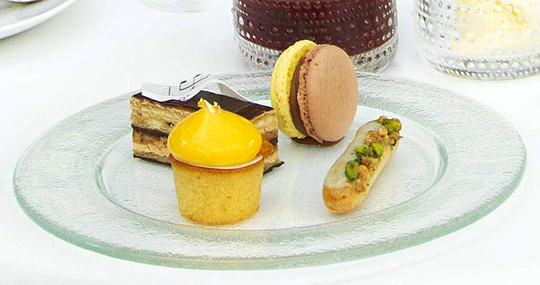 Also served were pistachio éclairs with praline grains, a banoffee macaron and a mandarin and kumquat amandine. Two hours later we left this truly wonderful venue, high on life but fearing our afternoon tea days may be over as this incredible afternoon tea would be hard to beat. 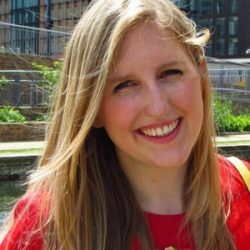 The food was of exceptional quality, created by world-renowned master pastry chef Claire Clark MBE who spent five years working with Thomas Keller at the French Laundry. 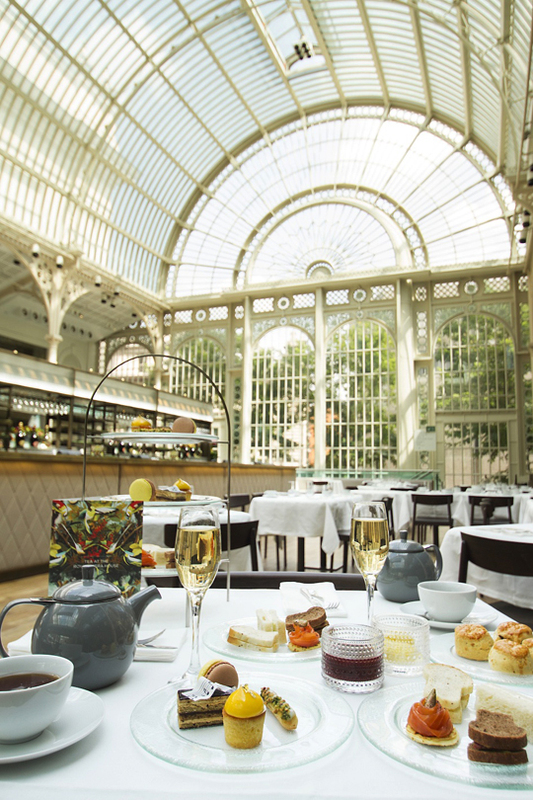 Held in the Paul Hamlyn Hall, guests can immerse themselves in the history of London’s celebrated area of theatre, music and dance by taking tea in this iconic building. The exquisite Victorian conservatory setting was designed by E.M. Barry as part of the Covent Garden fruit, vegetable and flower market and was originally known as the “Floral Hall”, a theme which is echoed throughout the hall with screens depicting an exotic floral design. A live pianist treated us to light classical music with a focus on the opera and ballet repertory. 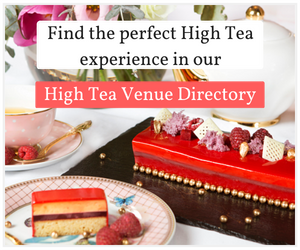 Though one would feel perfectly comfortable in smart casual in this venue, with such a special location and afternoon tea, we recommend wearing your favourite tea dress for this location. A very carefully thought through afternoon tea in everything from the food to the design on the menus to the cocktails, this is one to treat yourself and someone special. 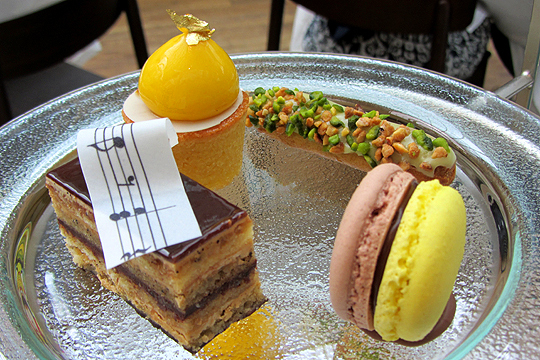 This is a remarkable afternoon tea to say the least. 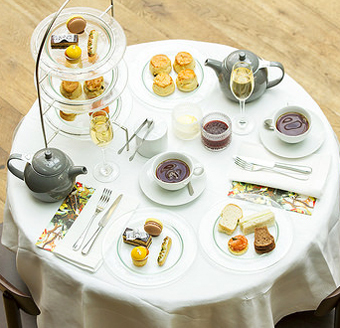 Dates and times will vary depending on scheduled performances, however, we understand that afternoon tea at the Royal Opera House will be available year-round.